Webinars are the ideal format to share information and interact live with customers and potential customers. Discussing new solutions and industry trends in this educational format lends credibility to your product. Have one of your top-level experts lead an informative presentation and possibly include a customer who can share hands-on experience and results. Webinars are a highly effective way to capture targeted, qualified sales leads that your own sales force can follow up on. We can work with your team on a turnkey webinar where we provide content, promotions, a moderator, and follow-up, or you can produce the webinar using our technology. Your webinar sponsorship provides you a complete marketing solution for your brand as well as targeted leads. And the leads do not stop after the live event is over. 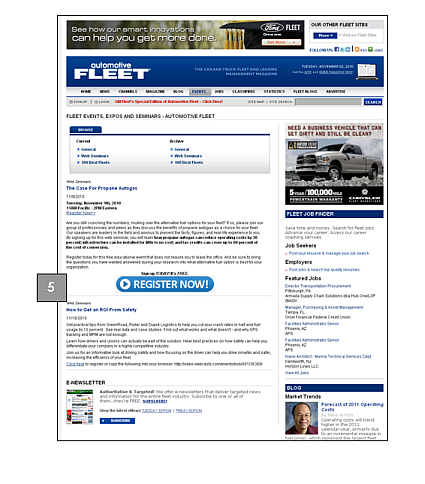 Your event will be archived on automotive-fleet.com for one year and continue to be marketed to our audience. 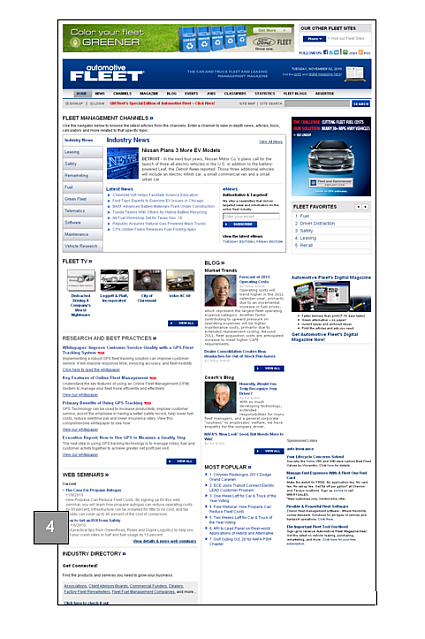 To view our archived webinar section on the Automotive Fleet site, click here. Promotions: Our team creates co-branded promotional campaigns sent to targeted lists via custom epromotions. We will provide design, development, delivery and tracking for all email promotions. 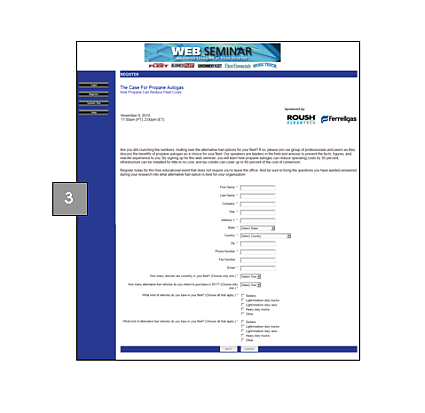 We host a registration section on our site and collect demographic information to help you tailor your presentation and for sales follow-up. We have a dedicated webinar "teaser" section on our homepage and a section within our site where we archive your webinar for one year. Production: We work with state-of-the-art technology that provides a web-based seminar with audio, slide presentations, and real-time interaction with experts for Q&A. We provide full production support for attendees and hosts, as well as technology training and dress rehearsals. Reports: ROI is essential to you, so we do an Event Summary with registration stats (including the number of final of registrations, number of attendees, and registration question results). We will provide a Survey Summary report from post-seminar survey, when relevant. Registration (sales lead) reports with registrant stats are sent following each archive promotion.